PRESCRIPTION FOOD PLAN AVAILABLE FROM NEW HEALTH MEDICAL CENTER IN EDMONDS, WA. For those who are serious about working on their health and preventing serious health crises in the future, your ultimate goal should be a complete, individual Prescription Food Plan. Since our natural medicine center evaluates and treats the whole mind-body condition of every patient, such an individual food plan is also our goal. On one large page, the plan lists all foods under categories such as vegetables, fruit, nuts and seeds, meat, poultry, fish, spices, etc. 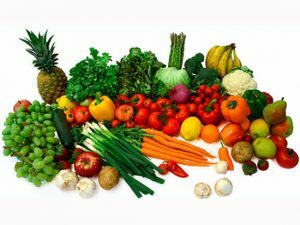 Color coding quickly distinguishes foods that benefit one’s health, according to all the criteria entered into a computer program and based on all relevant research, as well as foods to avoid and foods that one can eat infrequently. Based on test results, the plan also clearly indicates individual food allergens or sensitivities. Also, data are provided for ideal weight, daily calories, and daily amounts of carbohydrates, protein and fats, based on body measurements, including fat composition. Accompanying information allows one to work with a diet diary and provides guidelines on shopping, cooking and eating. The first step in generating the Prescription Food Plan is to schedule a naturopathic medical consultation with Dr. Kitaeff. He will take a complete medical history and make an examination. Next, he will recommend a complete blood chemistry test, that would include assessment of the thyroid, Vitamins D and B12, blood typing, and viral infection factors. Additional body chemistry tests would assess mineral levels, including toxic heavy metals, adrenal (stress) hormones, food allergens, and for some patients male or female hormones or digestive stool analysis. All the data from this testing would be combined with information from the medical history and examination, body type, blood type and body measurements to generate the complete individual Prescription Food Plan from the computer. This accomplishes the goal of using the food as medicine, the ultimate goal of a natural medicine approach to maintaining health. Since all of the patients’ health conditions are submitted as criteria for the program, dietary recommendations are based on all available clinical research on therapeutic nutrition for these conditions. Additionally, if one is working on losing weight, it is obviously valuable to be able to know the foods that fit your body in order to maintain long-term weight loss. Natural Treatment of Stress-Related Anxiety, Depression and Insomnia in Edmonds, WA. Servicing The Greater Puget Sound area including: Edmonds, Bellevue, Bothell, Issaquah, Kirkland, Mercer Island, Redmond, Woodinville, Seattle and throughout the state of Washington.